RAM problems are very common. But, We don’t know much about it. So, This article aims to provide some information about memory problem symptoms, how to diagnose and fix these problems. The full form of RAM is Random Access Memory. So, The problem related to it is also known as the memory problem. This type of problem is very common. But, Sometimes, We can’t understand it. So, It is really important to diagnose RAM problems. Because, If your computer has this problem, it will affect its performance harshly. But, How can you know it? Well, Just go through this article. You will know about it step by step. There are many symptoms. But, Followings are the major symptoms when memory problem exists on your PC. Slow boot. Sometimes, Your PC may boot very slowly even after having SSD or Optane memory. It indicates a memory issue. In some cases, Users may notice that medium to heavier programs is taking much time to load. Some websites may take a very long time to load. It clearly indicates a RAM problem. Random restarts even just before completely booting may happen. Some files on your hard-disk may get corrupted frequently. Often, Your computer may freeze and fixes it automatically. Sometimes, It requires a manual restart to recover. The installation process of any program may end up showing unknown error. It may happen repeatedly. If RAM stick gets damaged or corrupted, your PC may not boot but sounds beep beep beep. Sometimes, Blue screen of death error may appear and may indicate memory related problems. 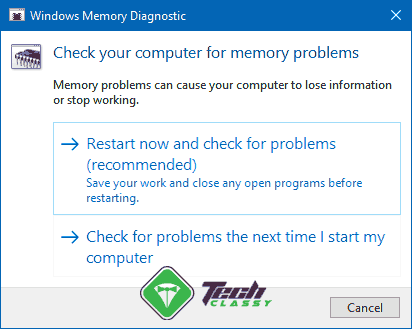 If you see any of these symptoms frequently on your PC, it indicates the RAM related problems. But, To be sure more clearly, you should diagnose it. Excessive heat may cause this problem. Bad cooling system, over-clocking etc. are the reason. Newly bought memory sticks may have issues, but symptoms may start appearing later. Power surges may damage any PC components including RAM. If you see these symptoms, it means the problem exists. But, Sometimes, You may not see any noticeable things that indicate memory errors. In this case, a few tricks may help you. 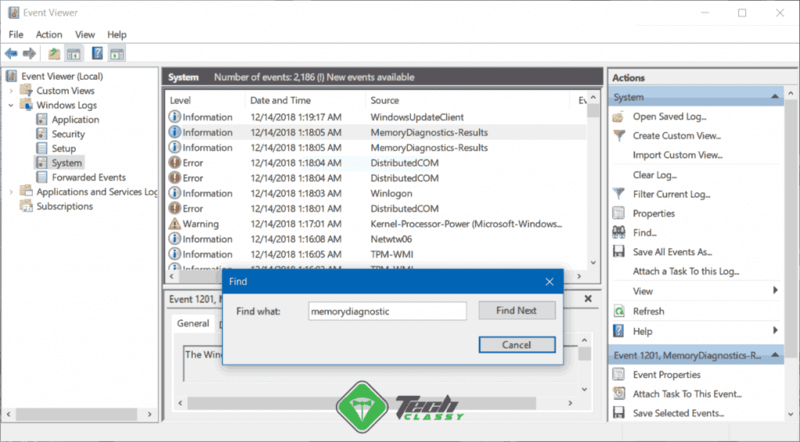 If you are a Windows user, the Windows memory diagnostic tool can be a very good option. It can detect memory problems on your PC. As it comes built-in on every Windows, you won’t have to worry about downloading it from any other source. To use this tool, you can follow these instructions. At first, You will have to open the start menu. Then, Type mdsched and hit enter. It will open the Windows Memory Diagnostic tool. It will restart your PC and check for RAM problems. You can press F1 when the test begins. It will allow you to choose between “Basic, Standard and Extended” options. If you don’t, it will continue with the standard option. After completing the test, Windows will show you the result. This is a very good way to detect any RAM problems on your PC. But, How can you access memory test results anytime? See in the next section. If you want to view the memory test result, you have to follow a different way. Here are the instructions. Now, Go to Windows Logs > System. Then, Press CTRL + F on the keyboard, type MemoryDiagnostic and hit enter. It will highlight the memory test results. Just double-click on it to view the result. 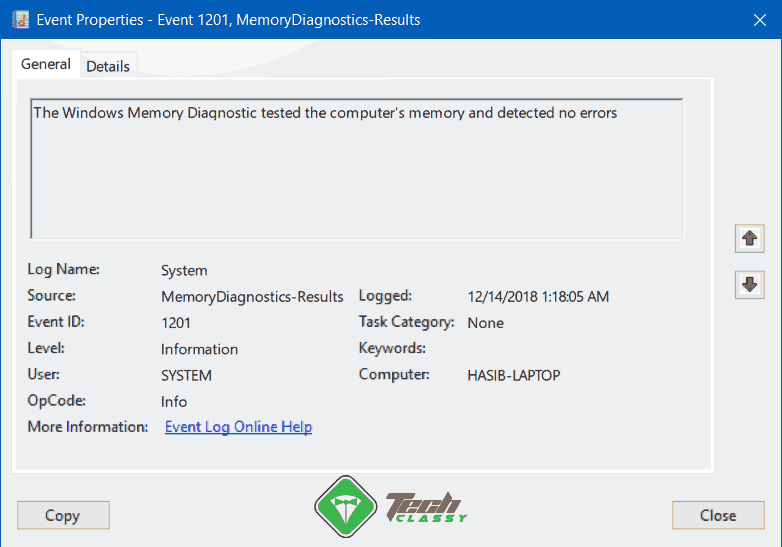 If you want to use any third-party tool to detect bad RAM on your PC, MemTest86 and MemTest86+ are great options. These tools can run the deep scan for memory problems. Sometimes, It is better than the Windows Memory Diagnostic. To use this tool, follow these instructions. At first, Download MemTest86 from here. To use it, you will need a Pen Drive. Just insert one on your PC. 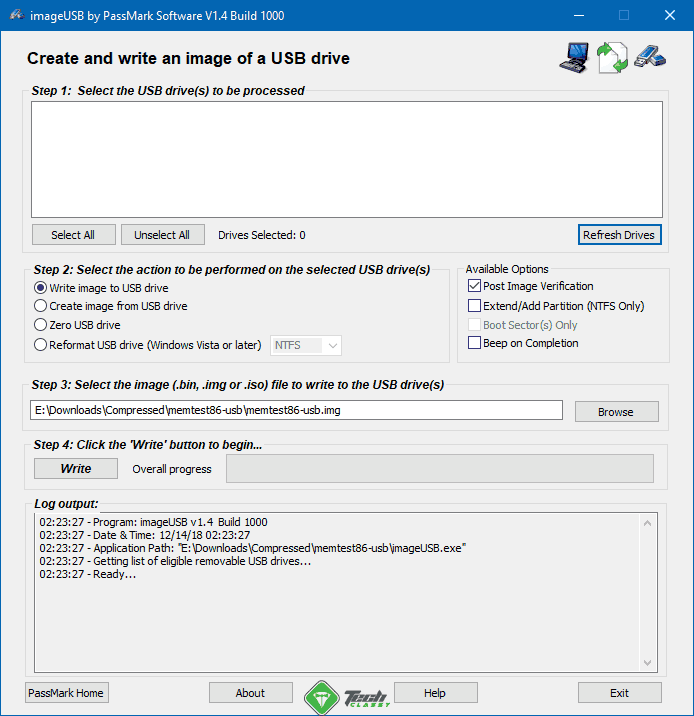 After opening, MemTest86, you will get the option to write the image to USB drive. Just do it. After that, restart your PC and boot from that pen drive. It will automatically start scanning for RAM errors. These are two popular methods to diagnose memory problems. If you find an error while running the memory rest, it means the RAM sticks may have problems. To fix it, you can do the following things. At first, Check if the RAM sticks are placed properly. You can place the sticks in different slots. Most modern motherboards come with four memory slots. Sometimes, You may find error even after the Memory modules are OK. In this case, The problem persists on your memory slot. It is a mainboard problem rather than a memory problem. So, You should contact the appropriate place (Retailer Store/Manufacturer if the warranty period is still valid) to get it fixed. Sometimes, Hard Disk problem symptoms can be similar to memory problems. So, You also should keep it in your mind. Hopefully, These information will help you in many ways.